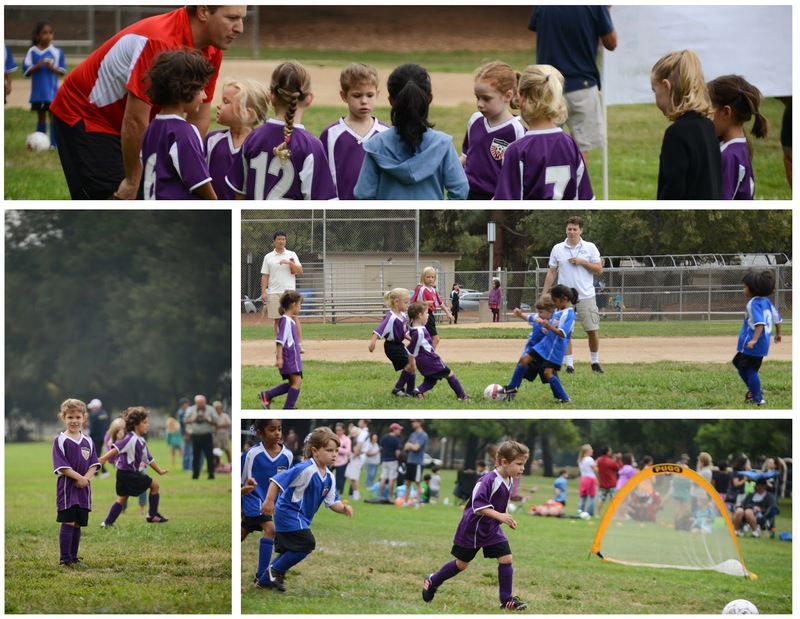 Audrey's first soccer game in California was early on Saturday morning. She had a blast! 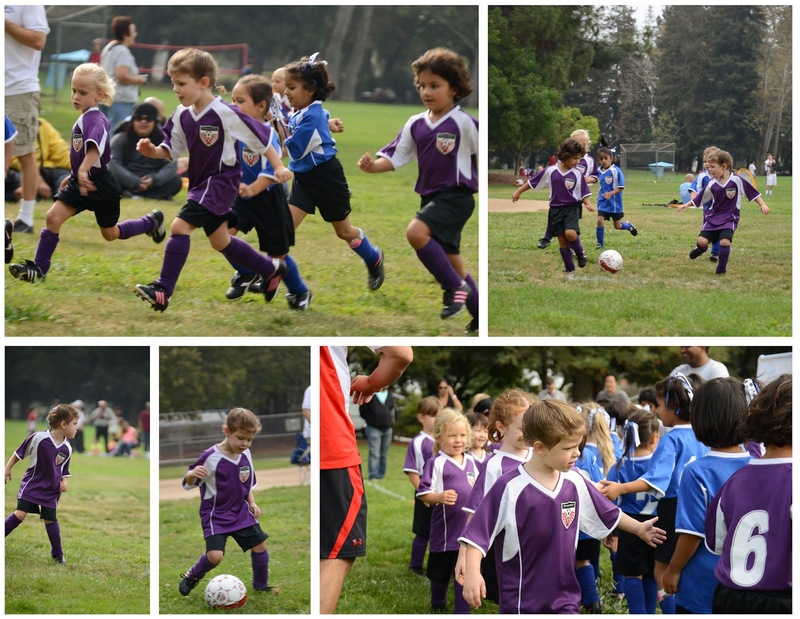 She loves to run, to get the ball and take it down the field, and to play on a team. 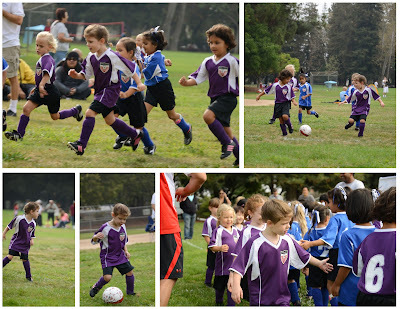 She loves to have her picture taken...even in the middle of a game. She's sweet, she's tough, and she's a good sport! I love my little soccer girl! There are more pictures from game 1 in the album!